Niger Delta Demonstration Nursery, Primary and Secondary School Commences Sales of Admission Forms into Nursery 1-3, Primary 1-6, JSS1 - 2 and SS1-2 for 2018/2019 Academic Session. The Niger Delta Demonstration Nursery, Primary and Secondary School is now open for admission for 2018/2019 Academic Session. 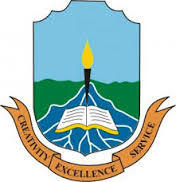 Admission forms are obtainable at the Establishments Office (Junior Staff Unit), Niger Delta University, Gloryland Main Campus on payment of Two Thousand naira (#2,000.00)only into NDU Levies and Tuition Account Number 0039914282, Diamond Bank Plc., starting from Tuesday, August 28 – Friday, September 14, 2018. Placement of pupils and students would be based on performance at the Entrance Examination and selection interview. • Moderate and affordable fees. Create the best future for your child or ward!